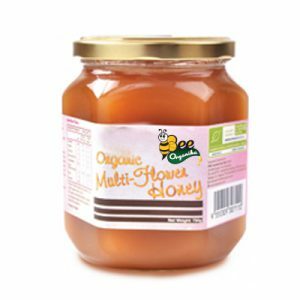 Bee Organika’s Bee pollen with Honey contains vitamins, minerals, carbohydrates, lipids, and protein etc. 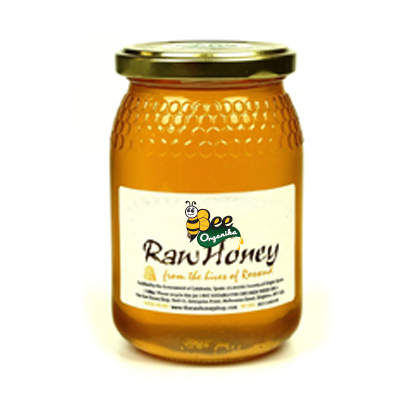 Bee pollen with Honey is called as Super food of the young bee and it is approximately 40% protein. It is considered one of nature’s most completely nourishing foods. It contains nearly all nutrients required for humans. About half of its protein is in the form of free amino acids that are ready to be used directly by the body. Such highly assimilable protein can contribute significantly to one’s protein needs. We mix premium Honey with this pollen and delivery to you. Bees collect pollen from plant anthers, mix it with a small dose of the secretion from salivary glands or nectar, and place it in specific baskets (called corbiculae) that are situated on the tibia of their hind legs — called pollen loads. After the pollen is collected, it’s brought to the hive where it’s packed in honeycomb cells. Then the surface of the collected pollen is covered with a thin layer of honey and wax, creating “bee bread.” The bee bread undergoes anaerobic fermentation and is preserved by the arising lactic acid. The bee bread serves as the basic protein source for the bee colony. According to the latest national data, one bee colony gives one to seven kilograms of pollen a year. Each day, the amount of pollen collected from one colony amounts to 50–250 grams. There are special devices, or pollen traps, that are used to collect pollen baskets as field bees return to their hives. The bees must force their way through the traps to get into the hive, and they lose part of the pollen basket, sending them back out to collect more pollen. The color of the pollen varies, ranging from bright yellow to black. Bees usually collect pollen from the same plant, but they sometimes collect pollen from many different plant species. The pollen grains depend on the plant species; they differ in shape, color, size and weight. Bee pollen is known as an apitherapeutic product because it contains groups of chemical compounds that are made by bees and used for medicinal purposes. In its composition, there are about 250 substances, including amino acids, lipids, vitamins, macro- and micronutrients, and flavonoids. The anti-inflammatory activity of bee pollen has been compared to drugs, such as naproxen, analgin, phenylbutazone and indomethacin. Researchers suggest that it can be used in acute and chronic inflammatory conditions, initial degenerative conditions, and liver disease or toxicity. A 2010 study published in Pharmaceutical Biology found that honeybee pollen displayed significant anti-inflammatory activities when given to mice with acetaminophen-induced liver necrosis. Another study conducted in 2010 investigated the anti-inflammatory effect of bee pollen bulk, its water extract and its ethanol extract by a method of carrageenan-induced paw edema in rats. The results indicate the bulk mildly suppressed the paw edema while the water extract showed almost no inhibitory activity. The ethanol extract showed potent anti-inflammatory activity, and researchers suggest that it can used as a dietary supplement and as a functional food. Recent studies have revealed that enzymatic hydrolysates from bee pollen are beneficial for patients undergoing various diseases, such as cancer, cardiovascular diseases, diabetes and hypertension. The antioxidant properties were measured in a 2005 study, and researchers found that it has remarkable antioxidant activity. They witnessed high scavenging activities against active oxidative stress. Researchers even suggested that the inhibitory activities of bee pollen were similar to those found in fermented foods, such as natto, miso, cheese and vinegar. One 2013 study published in Evidence-Based Complementary and Alternative Medicine found that chestnut bee pollen protects hepatocytes from the oxidative stress and promotes the healing of liver damage caused by toxicity. Rats with carbon tetrachloride-induced liver damage were separated into two groups — one group took two different concentrations of chestnut bee pollen orally (200–400 milligrams per kilogram a day), and one group was given silibinin, a medication that contains flavonoids. The researchers detected that both treatments reversed the liver damage, but silibinin caused significant weight loss and death due to severe diarrhea when given to rats. These findings suggest that bee pollen is a safe alternative to the silibinin in the treatment of liver injuries and can be part of a liver cleanse. Bee pollen has antimicrobial and antiviral properties. A 2014 study published in Food and Chemical Toxicology evaluated the biological actives of eight commercial bee pollen purchased from the market. All of the samples exhibited antimicrobial activity. Staphylococcus aureus was the most sensitive to bee pollen, and candida glabrata was the most resistant. Bee pollen may also be a natural allergy fighter. A 2008 study conducted in Japan investigated the effect of bee pollen on mast cell activation, which plays a central role in various allergic diseases. The researchers performed in vivo and in vitro experiments and found that bee pollen does have anti-allergic action because of its ability to inhibit the activation of mast cells, which plays an important role in the early and late phases of allergic reactions. Animal studies suggest that bee pollen can be used as a valuable dietary supplement. Studies have proved that mice and rats fed with pollen showed a higher vitamin C and magnesium content in the thymus, heart muscle and skeletal muscles. They also had a higher hemoglobin content and greater number of red blood cells after pollen consumption. Bee pollen has actually lengthened the life span of experimental animals. An interesting study published in the Journal of Animal Physiology and Animal Nutrition evaluated the effects of bee pollen on 40 New Zealand white rabbits. The rabbits were equally divided among four groups that received the same commercial diet. Each group was given a water solution containing no bee pollen or 100, 200 or 300 milligrams of bee pollen per kilogram of body weight. The female rabbits were mated with non-treated male rabbits from October to February and May to September. For each season, 80 weaned rabbits originated from the females of the control group, and they were divided into the same four groups to begin treatment. Bee pollen treatment for the female rabbits at 200 milligrams significantly increased body weight, conception rate, milk yield and litter size. It also improved biochemical profiles of blood. The same dose of bee pollen also significantly increased the growth of baby rabbits and their survival rate until weaning. Similar bee pollen benefits were displayed in a 1994 study that involved pregnant rats and fetal growth. These animal studies suggest that bee pollen has a high nutritional value and works as a supplement for animals with nutritional deficiencies. Researchers suggest that it can be helpful when given to children who have a lack of appetite or experience a developmental delay. It may also help malnourished children and adults, especially before and after surgery, when recovering from an addiction to alcohol, or when they’re under physical or mental stress. A 2015 study conducted in Germany found that both honey and bee pollen honey improved menopausal complaints in breast cancer patients on antihormonal treatment. Over two-thirds of the patients who completed the study reported an improvement in their symptoms. Researchers suggest that bee pollen and honey may be offered to women who have failed to respond to other alternatives to cope with postmenopausal symptoms. 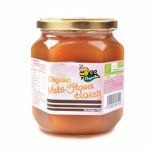 They also note that the flavonoids found in honey and pollen have been found to prevent breast cancer, supporting the use of these products in women with menopause symptoms and problems with or without a history of breast cancer. Because of bee pollen’s nutritional and tonic properties, it improves blood supply to nervous tissue, boosting mental capacity and strengthening the nervous system that may be weakened by stress. That makes it one of the most effective natural stress relievers. It may be particularly useful for people with a lack of energy, especially the elderly. Even small doses of bee pollen over an extended period of time can improve mood and physical endurance, thereby strengthening one’s desire to live. It also serves as a local analgesic, giving it the ability to relieve pain that can be brought on by stress or injury. Bee pollen can be used as a topical ointment to speed up the healing process, especially useful as a home remedy for burn relief. The pollen includes kaempferol, which inhibits the activity of enzymes after a burn and decreases inflammatory reactions and swelling. Pollen helps improve blood circulation in the vessels, and it moistens the skin. The anti-inflammatory and analgesic action of flavonoids in bee pollen helps relieve pain and prevent platelet aggregation. Pollen also helps prevent infection because of its antimicrobial activity, allowing a wound or burn toheal quickly. Because bee pollen is a great source of many vitamins and minerals, it can also help keep your skin looking younger and glowing. It stimulates blood supply to all skin cells, helps detoxify the body, reduces the appearance of wrinkles and speeds up the healing process.